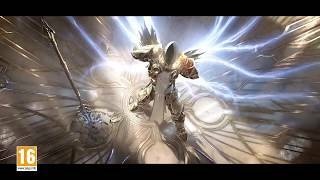 Blizzard Entertainment have announced the Diablo III Eternal Collection, coming to Nintendo Switch. The Eternal Collection is the definitive edition of the action RPG, including everything from the original Diablo III, the Reaper of Souls expansion, and the Rise of the Necromancer pack. Whether using a Joy-Con controller or a Nintendo Switch Pro Controller, the game promises intuitive, responsive controls custom-built for Nintendo Switch. Cooperatively up to four players can band together to engage in multiplayer crusades, whether they’re sharing a screen on a single Nintendo Switch, linking their systems together wirelessly, or teaming up through the Nintendo Switch Online service. There will also be platform-exclusive bonus items, like The Legend of Ganondorf cosmetic armor set, inspired by the iconic villain from The Legend of Zelda series. 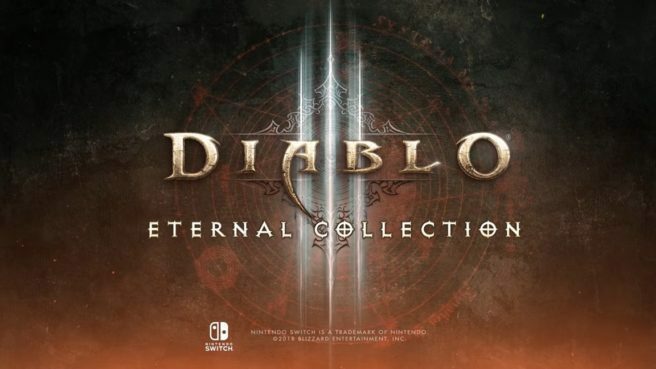 Diablo III Eternal Collection for Nintendo Switch will be available later this year. Diablo 3 (PC) is ranked #401 out of 1436 total reviewed games. It is ranked #42 out of 145 games reviewed in 2012.